John Young was born at Footscray, Kent, England, the son of a builder also named John Young. He married Eleanor Southernwood in London in 1853. After her death, he married divorcee Elizabeth Susan Ovenden, nee Russell, on 23 December 1886 with Congregational rites. He died at Kentville on 27 February 1907 and was buried with Anglican and Masonic rites in Waverley Cemetery. He was survived by two sons and two daughters of his first marriage. Trained as a draughtsman, John Young gained valuable engineering and architectural experience in London and Yorkshire before becoming superintendent for the Crystal Palace. In May 1855 he migrated to Victoria and built many Melbourne churches, including St Patricks’ Cathedral. He also erected buildings inTasmania and New Zealand. 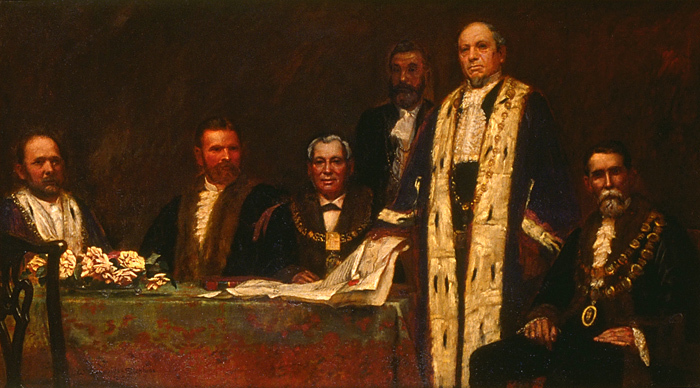 In 1866 he moved to Sydney where his important building and engineering contracts included St John’s College at the University of Sydney, St Mary’s Cathedral, the General Post Office, the Department of Lands, the 1870 Great Intercolonial Exhibition Building, the Garden Palace in 1879, Farmer’s department store, the Fig Tree Bridge, and the Witches Houses in Johnston Street, Annandale. In 1873 he was the founding President of the Builders and Contractors Association of NSW. He invested in quarries in NSW and exported Sydney sandstone to Melbourne and Adelaide but his scheme to mine and polish local marble and granite could not compete with imported material. In 1877 he invested in the North Annandale estate and was prominent in the development of the suburb. He extended Robert Johnston’s cottage overlooking Rozelle Bay and named his residence Kentville. In 1885 he bought Burrawong near Cumnock where he installed a fruit cannery. From 1879, John Young was a member of the Royal Society of New South Wales. He was Commissioner for the Sydney exhibitions held in Sydney in 1879 and in Melbourne in 1880, and other international exhibitions including the 1883 Amsterdam International Exhibition, the 1886 Colonial and Indian International Exhibition in London, and the 1893 World’s Columbian Exposition held in Chicago. He was a member of the Board of Technical Education from 1883 to 1889. At his Kentville residence, Young entertained lavishly, cultivated one of Sydney’ finest gardens and provided archery, billiards and skittles facilities. Known as the father of bowls, he built a bowling greeat his home and popularised the game. He was foundation president of the NSW Bowling Association and led an Australian team to England n 1901. In the 1880s he was president of the Annandale Skittle Club. He wrote essays on architecture and fruit growing and published Ye Ancient games of Bowls (1899) and The proposed Federal City for the Commonwealth of Australia. John Young was Alderman for Bourke Ward on the City Council from 1 December 1876 to 30 November 1887. 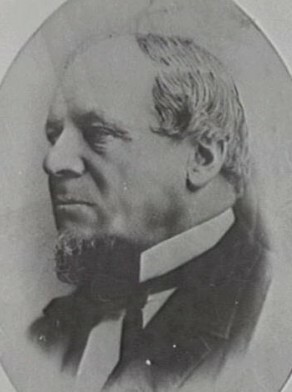 Young succeeded Thomas Playfair as Mayor of Sydney in 1886 and was credited with introducing wood blocking into Sydney streets. John Young was an Alderman of the Leichhardt Municipal Council from 1879 and was Mayor in 1879 and again in 1884 and 1885. He led the secession movement leading to the separation of Annandale from Leichhardt Council and was the founding Mayor of the Annandale Borough Council from 1894 to 1896. Robert Johnson and Alan Roberts, ‘Young, John (1827–1907)’, Australian Dictionary of Biography, National Centre of Biography, Australian National University, http://adb.anu.edu.au/biography/young-john-4904/text8211, accessed 22 November 2012.